container shelter Please note that the pictures are for visual reference only and may not be the exact model described. 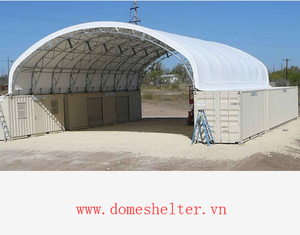 Our container shelter provide you more storage space. Our premium powder-painted frame performs much better than those alleged conventional hot-dipped galvanized finish in rust -resistance . Q1. What is your terms of packing9 A: Generally, we pack our goods in steel boxes. Q2. What is your terms of payment9 A: T/T 30% as deposit, and 70% before delivery. We'll show you the photos of the products and packages before you pay the balance. 45 feet mobile prefab building shipping container car garage Specification of movable container house Use Home,Office,Shop,Hotel,Dormitory Size 20/40ft or customized Life Span 25 years Color Decided by customers Corner Posts 2.0mm Bending steel profile Frame of roof and bottom C beam and square tube Roof Color-steel Sandwich Panel (EPS 50mm) PS: customers can choose other sandwich panel material. Wall Color-steel Sandwich Panel (EPS 50mm)PS: customers can choose other sandwich panel material. Door Frame Steel sheet Door 2000mm*950mm security door or PVC door Window Aluminum Window Flooring Basic floor Glass magnesium board Earthquake proofing Grade 7 Fire Proofing: Grade 3 Wind Proofing 150km/h Minimum Order 1 Unit Product Advantages 1.Light steel structure frame 2.Water-proof system on the roof makes good sealing effect 3.Fireproof and heat insulation 4.140km/h windproof and 8 grade earthquakeproof 6.Over 25 years' life span 7. 8 skilled workers can finish installation of 150 SQM in 20 days 8.We can provide services of installation, supervision and training by extra. 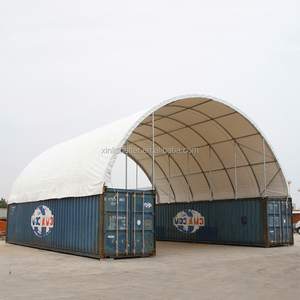 The container also can be assembled in factory and then tranferred to the site. &diams; Customers are warm welcomed to visit our factory at any time, even during holidays. &hearts;Q: How do you guarantee the quality of the products9 A: Strict product quality control , quality makes the future . 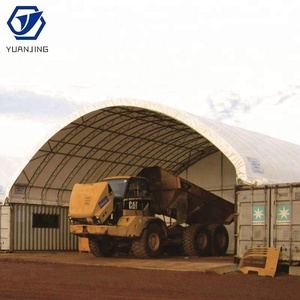 Container Shelter has been an impressive product in the Garages, Canopies & Carports market over the past year, and it was very popular in United States,Australia,New Zealand,Canada and Wales; As shown in the distribution chart, market shares of these countries are folowing: [ US:26.19%, AU:10.10%, NZ:7.99%, CA:7.21%, GB:3.77%, other:44.73%]. 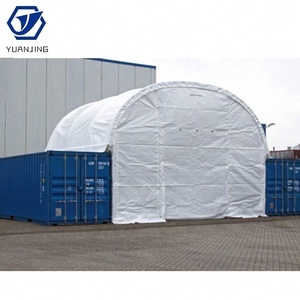 What's the trends of Container Shelter product's market in 2018 (Dec 2016 to Jan 2019)?we have studied one years data on online sales, global shipping, search, sourcing and requirements of following products Shelter. Container Shelter,Here is the report.During the research period (Dec 2016 to Jan 2019), the major trends are as following.